In the begging of the Internet, web user use Dial-up connection. At that time it took lots of time to load a web page. After this Broadband service has been launched, but some how there is nothing in the progression of data transfer service. It also took long time to load a web page. After this, there was a introduction of Optical fiber which replaced the copper fiber. Along with this we get Digital Subscriber Line (DSL) by which internet user can send and receive the data at the speed of 6 Mbps. As 70% more speed progress then the earlier one. 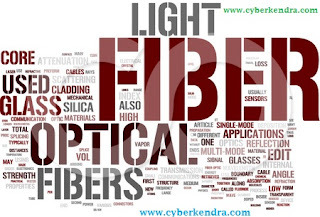 Optical Fiber is also know as Publishable fiber. This fiber is made up of glass or a plastic. It is a kind of pipe through which a light transmit. With the help of this user can send data or receive data without any interruption in between through out the long distance. It is also not affected by any kind of electromagnetic force. This is why is the best intermediaries in data transmission. 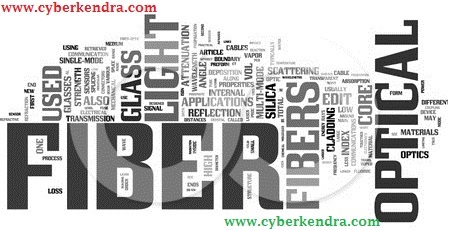 There is the use of Silica Glass in the Optical Fiber. Silica Fiber is made up of sodium Silicate, which can control the heat. This techno word was made from the in the guiding of light by refraction, the principle that makes fiber optics possible. First time it was discovered by Daniel Colladon and Jacques Babinet in 1840's. Regular in its use in 1965, First time the Optical fiber was used for the data transmission. The first working fiber-optical data transmission system was demonstrated by German physicist Manfred Borner. Single Mode (SMF):- It is a kind of Fiber design to transmit single ray of light. But for long distance it is used to give power for high speed. It is also used with laser devices. It works better for long distance in comparison with Multi mode. That is why it is costly then multi mode. Multi Mode (MMF):- It can transmit more then one ray of light at a single time. Its data speed is 10 Mbps to 10 Gbps in the range of 600 meter. It have big core voice so it can travel with more power. It is better for short distance data transmission rather then long distance data transmission. Censor:-Optical Fiber can be used as Censor. Those remote signal that control the electronic signals. Data Storage:- For data transmission it is best option. Networking:- It serve as intermidiatories between the client and the server. It also increase the speed of data transmission. Governmental purpose:- used in the hydrophone for earthquake info, and also used in some equipment's for soldiers. Telecommunication:- It is also used in telephone for the lost distance communication. There is a vast improvement in the cites telephone connection with the help of this. Broadcast:- To provide better service to the home company use optical fiber.